ZINE / Smile T available now! Product Smile T available now! 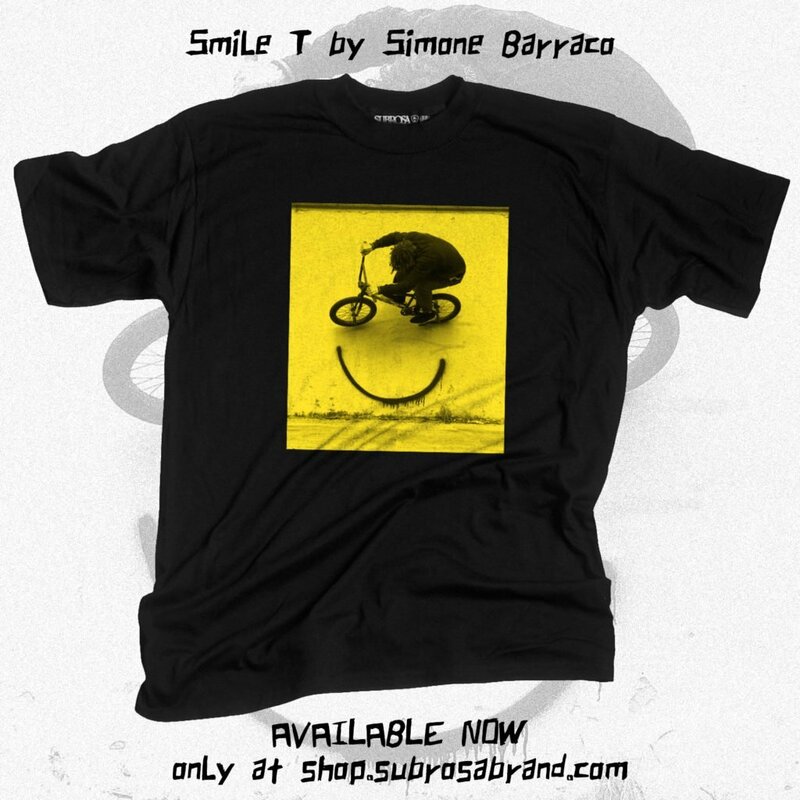 The Subrosa Smile T-Shirt by Simone Barraco is available now! Simone Barraco loves riding his bike, and he loves painting, and when he combined them both he created one of my all time favorite BMX photos. A simple swipe of the rattle can combined with a perfectly placed wall ride captured at the right moment made for a timeless image that makes me smile. Subrosa and Simone want to pass the smile on to you with the Smile T-Shirt. The shirt is a limited run and available only on the Subrosa Webstore. Introducing the 2015 Subrosa Completes!